In an age of PR, public protest and other forms of dissent have lost their meaning and impact. The intense media interest in rioting and political violence, as well as an existing obsession with youth culture, have led to an over-saturation and misrepresentation of what these movements are about. Political protest has become a pantomime where activists are always villains, and therefore the politics of these groups are routinely ignored. 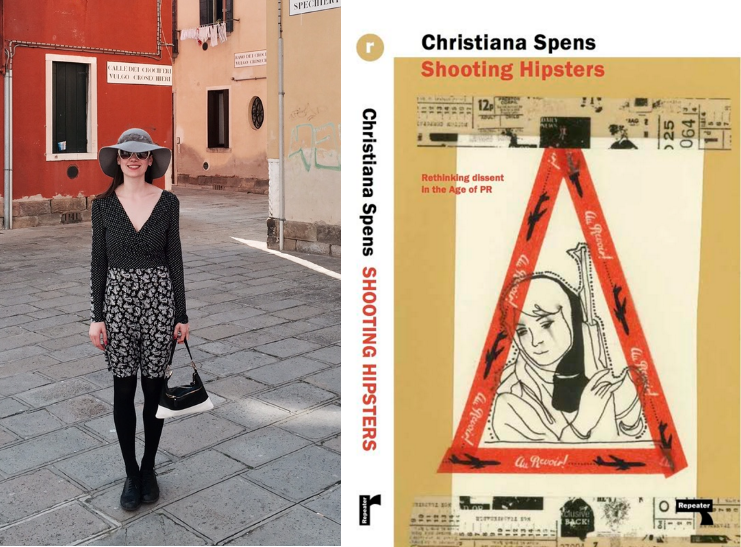 In Shooting Hipsters, St Andrews academic Christiana Spens dissects these convulsions, identifying the ways publicity has helped and hindered a wide range of movements, from the Tea Party Movement to Occupy and Anonymous. This captivating study illustrates how dissenting groups can thrive and survive in a media-saturated age, as well as describing the common ways that they can be undermined. Drawing across disciplines, and delivered in bright, engaging prose Shooting Hipsters offers a unique insight into a pressing contemporary issue. Christiana Spens is a writer and illustrator educated at Cambridge University and the University of St Andrews. She is the author of The Wrecking Ball, The Socialite Manifesto and Death of a Ladies Man, and has written for a number of journals and newspapers on art, literature and politics.